Into the Book: Does your reading and writing have an influence on your song-writing? How is inspiration different for song-writing as opposed to a book-length piece? 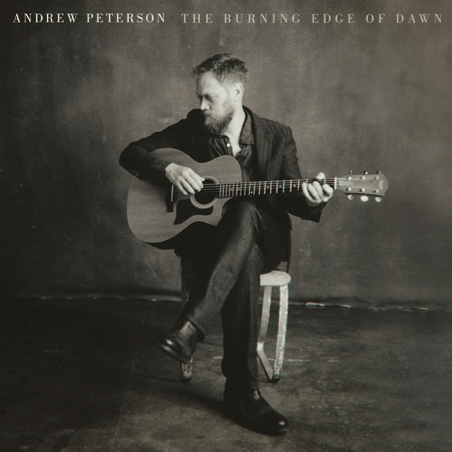 Andrew Peterson: I can’t overstate how important reading is for songwriting. Almost every time someone tells me they’ve been moved by an idea or a line in one of my songs, I have to admit to them that I got it from Lewis or Tolkien or Annie Dillard or someone like that. And I also heartily recommend reading widely—don’t just read one genre. You never know where some beautiful thought might be hiding. As for inspiration, songwriting requires patience. You have to spend a lot of time on a single line, or a single chord progression, waiting and waiting and poking around the hedges to find your way in. With book writing it’s about endurance. You don’t need any big ideas to write a terrible chapter. Just write the thing. Pile up a mass of words and then you tighten it up in the editing process. ItB: While storytelling and music are obviously related, there’s still a significant jump between the two. Did your music overflow into your writing, or do you see them as totally different pursuits? Do they inform one another? AP: Just the other day, someone asked if one of my albums was linked, thematically, to one of my books. The answer is yes, at least inasmuch as they both came from one broken guy who was probably dealing with the same aches and pains and joys at the same time. You could boil all of my songs and books down to one or two main themes that I’ll probably be wrestling with for the rest of my life—things like remembering my name, or remembering what’s true in the face of certain voices that tell me otherwise, or longing for the new creation. 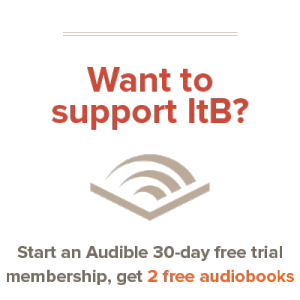 ItB: Your writing skill has taken huge leaps in each successive book. Did you have a tension, in your first book, of not being able to reach the vision you had inside your head? Did you eventually push all of your books to that point where they matched what you had been envisioning? Well, thank you! That’s good to hear. The only way to learn to write is by writing, and my first book was, well, my first book. It’s hard to know what I would have done any differently, but I definitely felt like each book was a step in the right direction. There’s always tension between the finished work and what you imagined, and there’s always some level of disappointment that you have to deal with whenever you finally give birth to whatever was inside you. But then there are also really wonderful moments when the work is better than you can do. You have to stop and give thanks, because it’s clear that God gave you some grace that you didn’t even know to ask for. I remember reading a wonderful Ira Glass quote about how the real work of a career as any kind of artist is to fight your way closer and closer to a standard that you’ll never reach. I always say that whenever I write a song I’m trying to write a mashup of my favorite songwriters. I know I’ll never ascend those peaks, but getting into the foothills, or even getting a glimpse of the high mountains is thrilling. It gives you the courage to keep climbing. From a reader: How do you respond to criticism, especially since so much of your work is to a large audience (concerts, book releases)? It’s a combination of being grateful for encouragement while also deflecting the negative stuff. The only critics that really matter all that much are 1) your own inner critic and 2) your close band of fellow friends and writers, who will be honest with you, yet lovingly so. A good review from a tough critic is a fine thing. And yet, Wendell Berry once wrote (in a poem called “How to Be a Poet (to Remind Myself)”), “Any readers who like your poems, doubt their judgment.” Honestly, I’m more interested in the moment on stage when I sing a song and sense that it’s resonating with the audience. Critics can say what they want, but if the song or book is effective, that matters to me. That may be short-sighted, but the real-time connection is what excites me. From a reader: Would Hobbits eat (and enjoy) totatoes? I’m sure hobbits would love totatoes just as much as they hated thwaps. AP: Thank you! I’m honored that you guys enjoy the books, regardless of what Wendell says about your judgment.